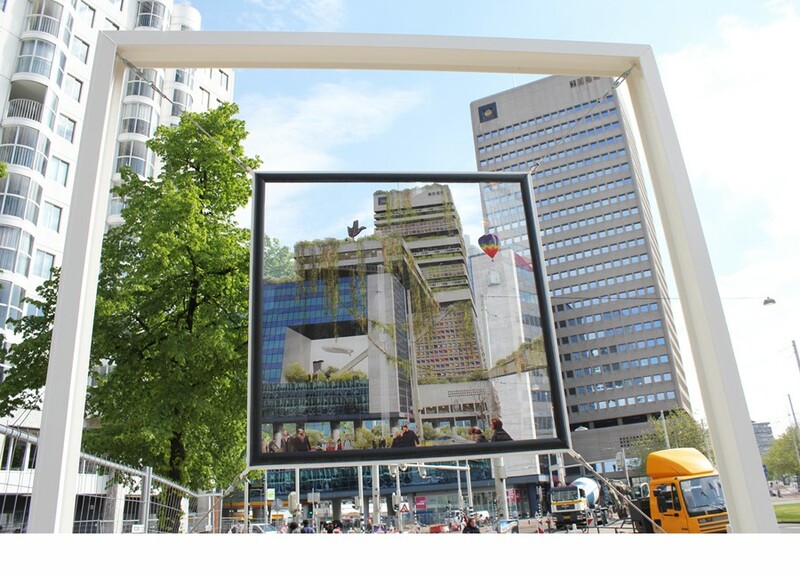 Open air installation for the 5th International Architecture Biennale of Rotterdam. Client: Gemeente Rotterdam (Bureau Binnenstad) and ’Mothership’. NAUTA architecture & research is one of 7 offices invited to design an open air installation during the 5th International Architecture Biennale of Rotterdam (IABR). 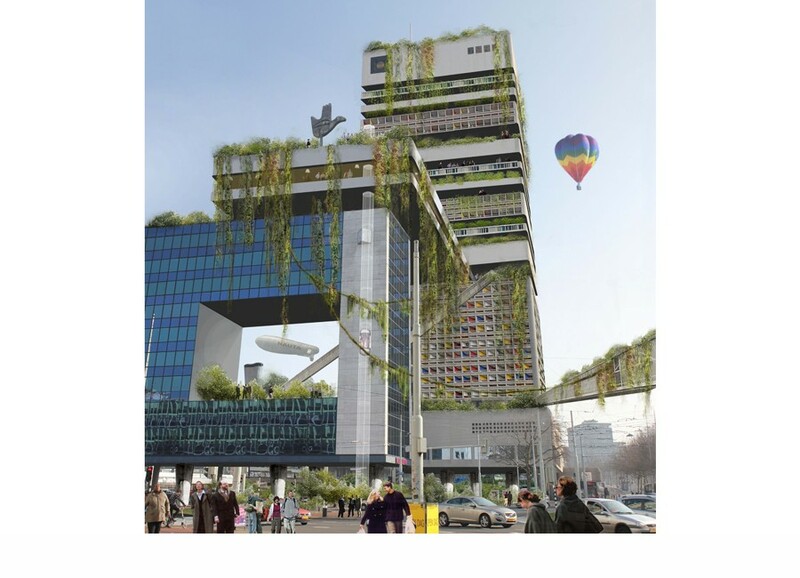 NAUTA’s “Unite d’ Habitation de Rotterdam” focuses on the “Shell Tower” at Hofplein, in the centre of Rotterdam. It envisions the possibility to redefine the use and role of this urban phantom by means of sustainable hybrid combinations, suitable for the current market trends that do not allow mono-functional developments in the city centre. In 1947 Le Corbusier developed a housing principle called “Unité d’ Habitation”. The project used collective spaces, roof gardens and mixed facilities to improve the lifestyle of its inhabitants. 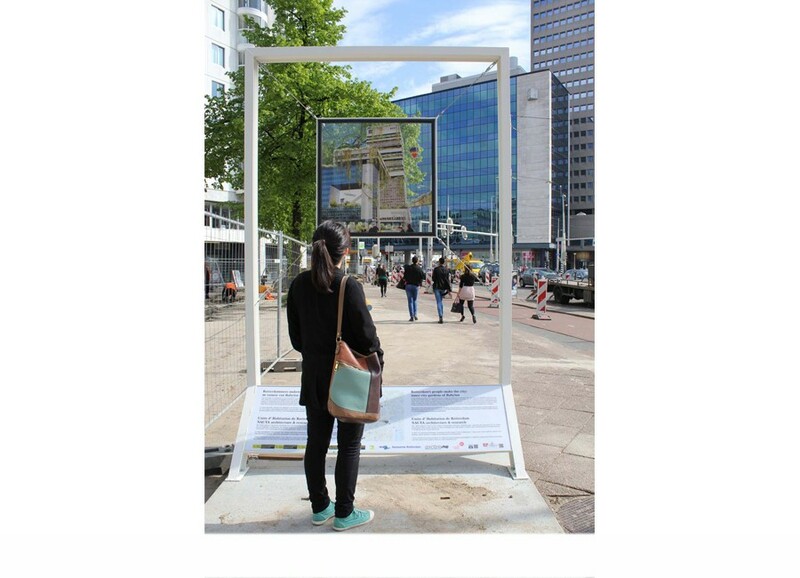 “Unite d’ Habitation de Rotterdam” is a reflection on how simple and profitable it would be to apply some of those principles to enhance a better life and have a more beautiful city. The installation was commissioned by the Gemeente Rotterdam/Bureau Binnenstad and the ’Mothership’. It will be displayed on the North sidewalk of Hofplein till the 12th of August 2012. More information can be found on the website of Mothership.